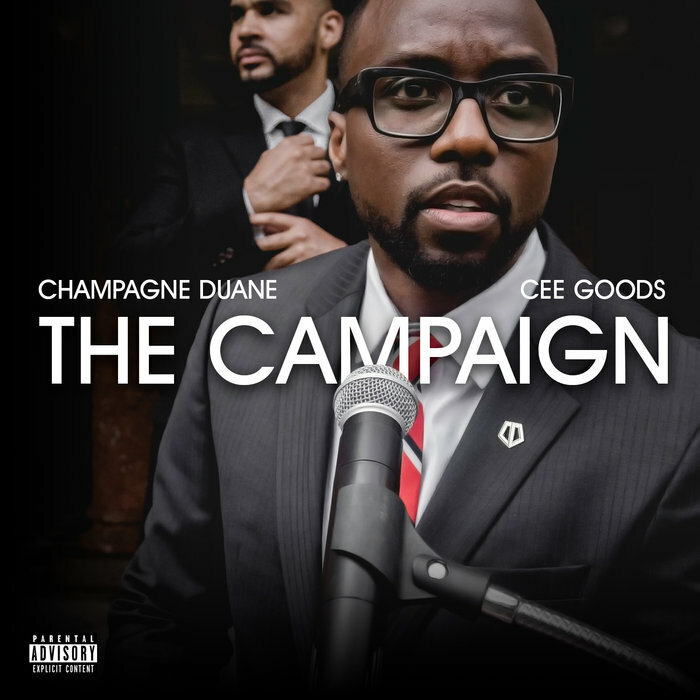 ‘The Campaign’ is a soundtrack to the current social and political climate from leadership to gun violence to equality. Timing is everything, and this album couldn’t be coming at a more important moment in this country. Much like American society, most will agree with the ideals on the album, some will be shocked by some concepts, while for others it will have an awakening impression. Production from Cee Goods does not disappoint as it has pushed Duane to be more insightful, informed and innovative. This is truly a time-defining experience. The tone for the album is powerfully set on the opening track “Power to the People,” a rallying call and response which aims to unite people of all walks and pays tribute to freedom fighters such as Nelson Mandela and The Black Panther Party. “One Day” is an uplifting track that takes cues from speeches and writings made by iconic politicians and activists like Dr. King. Sprinkle some Saeeda Wright and Nehemiah Booker all over the Cee Goods-produced track and you’ve got an anthem to guide you the turmoil of the next 4 years. The stand out single “Gun Control” sees Duane take a militant approach, where he has an eye-for-an-eye viewpoint on police brutality over a dark, sultry beat. “We should Grant him an Oscar for Shootvale Station/ way to play innocent, standing ovation/ clap for him or clap at him, what if we change the conversation” are some of the lines aimed at the institution of racism and it’s by-product, militarized police forces. In true champagne fashion, the project ends on a celebratory note in “Taste of Victory” featuring Champagne James, an ode to Obama’s legacy as HNIC. Besides Jonny Cool’s spoken word on “True Leaders”, the only other features are on “Get Up” where Oregon emcee Wynne makes a fierce appearance with bars like “they’re supposed to support us, not deport us, that’s who we are/ immigrants building resilience, oppression giving the scars.” Backed also by Elin Skei vocals, “Get Up” speaks to Duane’s core of bypassing expectations of establishment, taking responsibility for your own liberty and continuing the spirit of those who paved the way. Woven throughout the rest of the album are themes surrounding women’s rights, the corrupt industry of incarceration, gentrification and culture appropriation, environmental justice and economic inequality. There’s no debate- The Campaign will spark conversation.